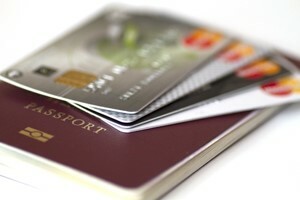 Credit cards offer great convenience when shopping or travelling. You don’t have to have cash in your account for you to buy that home theatre or dress. All you need to do is to swipe your credit card, and you can carry it all home, but you might need to consider cheap credit cards. However, for all the convenience they offer, credit cards come with fees and interest. If you’re like most other South Africans you will want value for money from your credit card and also maybe cheap credit cards. You, therefore, want to find a credit card that won’t overburden you every month. To do this, you can go shopping around at different banks, or you can make your life easier by joining comparison sites like ThinkMoney.co.za. This Visa-branded card is the second-cheapest card among South African providers, according to ThinkMoney’s survey. Its cumulative monthly charge comes to R122.51. This figure comprises of monthly fees of R83.72 and interest of R38.79 drawn from a yearly rate of 18.1%. However, this low price comes at a cost; you won’t get any loyalty rewards. So if you want to earn air miles, you will have to look elsewhere. And be prepared to pay extra. If you are on a tight budget or are just starting out as a salaried worker, this is the card for you. The total monthly charge on this Visa-branded card is just R98.82. That includes R56.01 in monthly fees and R42.81 per month in interest, calculated from the supremely pocket-friendly yearly interest rate of 16.2%. Like the other African Bank credit card, the Gold card doesn’t come with added-on loyalty perks. ThnkMoney allows you to compare the rates for up to five credit cards side by side. Take advantage of this feature to do thorough digging before settling on any one product.